Continuing the imperious rise of the Dark Lord! A Jedi makes a desperate deal. The Inquisitors’ mission evolves. And Darth Vader discovers a theft! And when the thief faces the consequences of the crime, Emperor Palpatine rewards Vader with a gift… and a voice. Seeking the path to his destiny, Vader returns to the place of his greatest defeat. 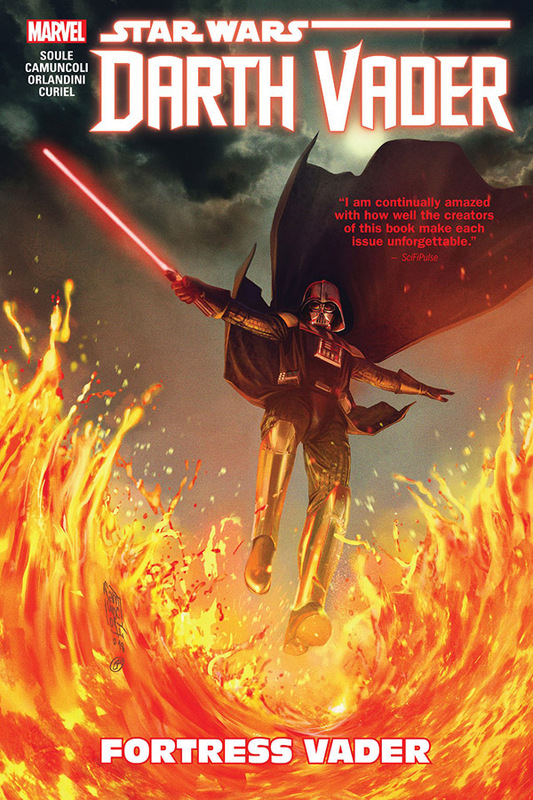 There, echoes from the past reach out to him — both his own and the dark history of the Sith! Darkness rises above Mustafar as a brutal design begins to take shape. But the planet’s inhabitants will not take this desecration lightly and formulate plans of their own. Vader’s fortress will stand — but at a terrible cost. The fire will come to Mustafar — and all will burn! Collecting Darth Vader (2017) #7-12.